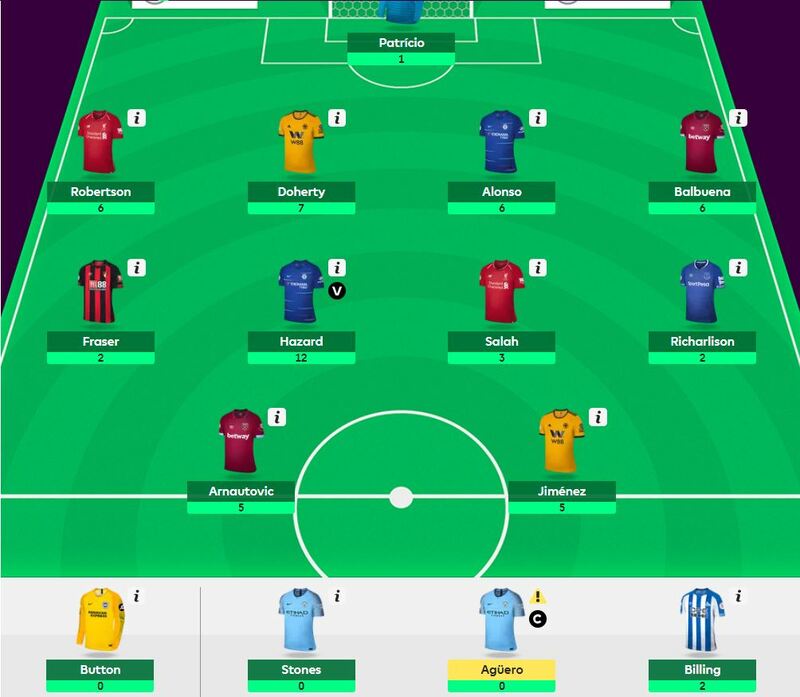 Here’s our GW15 fantasy football tips article where Andrew Ferguson reviews his GW14 teams in FPL, TFF, Sky and Sun and outlines his plans for GW15. Andrew finished top 1k in TFF, Sky and FPL plus 15k in Sun in 17/18. An average week and a small rank drop of around 1k. Sterling didn’t explode which was good but Hazard didn’t either which wasn’t so good as my vice captain. Balbuena’s clean sheet was very welcome off the bench go alongside returns from Robertson, Alonso, Arnautovic and Jiminez; not explosive but holding rank in a difficult time. Eriksen – great fixtures, on set pieces, until Trippier returns? I will be pondering over these probably until the deadline. Captain will likely be Kane, Salah or Aguero/Sterling if one is confirmed as starting and dependent on the transfers I make. 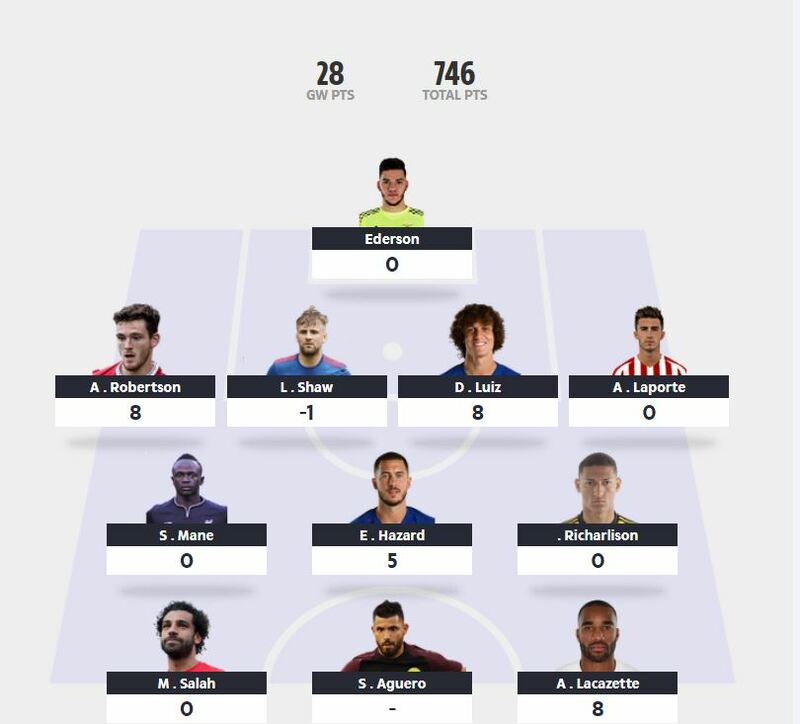 A good week and around a 1k rank increase using two transfers to change my team up for the weeks ahead. My defence was strong again with only new signing Laporte letting me down. 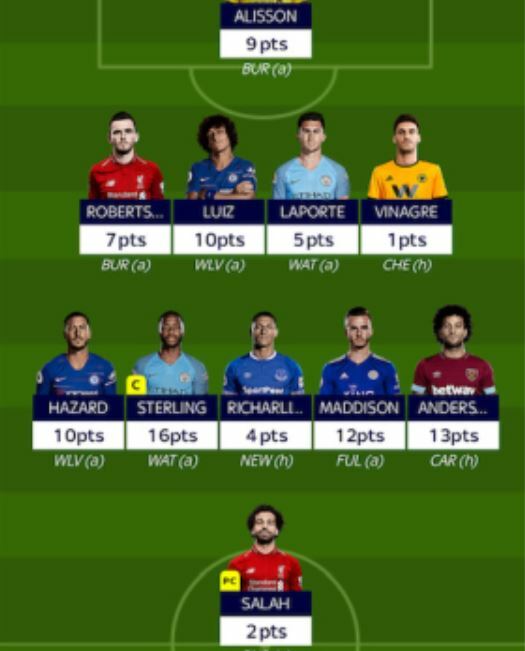 My new look midfield is strong although I am tempted to do a Hazard/Jimenez (who was only 1 week double fixture punt) double transfer for Kane and Anderson who have great fixtures for the foreseeable. 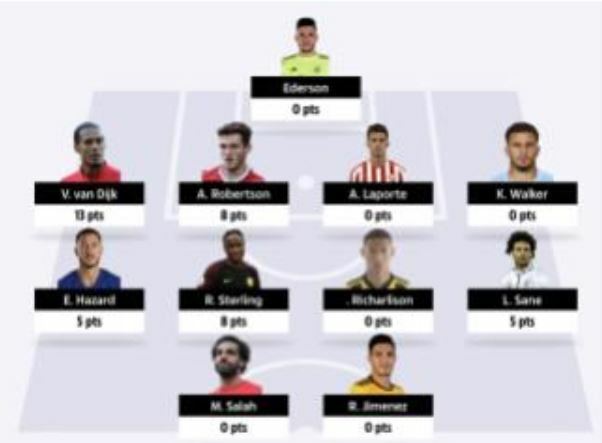 An excellent weekend for me although four transfers helped! All were long term moves though as I shook my team up for the next few weeks. Aguero, Boly, Doherty and Ryan to Sterling, Andersen, Luiz and Allison. Maddison chipped in nicely this week also and I am pleased to be holding on to Richarlison for his next few games. The value in defence was there again and although Vinagre’s spot may be under threat soon I don’t really mind due to his price. I have a well-balanced team for the next few weeks although I may do one or two more regarding getting in Kane. A shocker with City conceding and none of the big hitters really firing. Luiz’s clean sheet and a lucky Lacazette goal helped a little but the team is struggling to even hold rank each week. Transfers are available on Friday so I’ll cover my thoughts in the next article. Similar to the above team, hopefully City’s defence can begin firing again soon for some big gains. 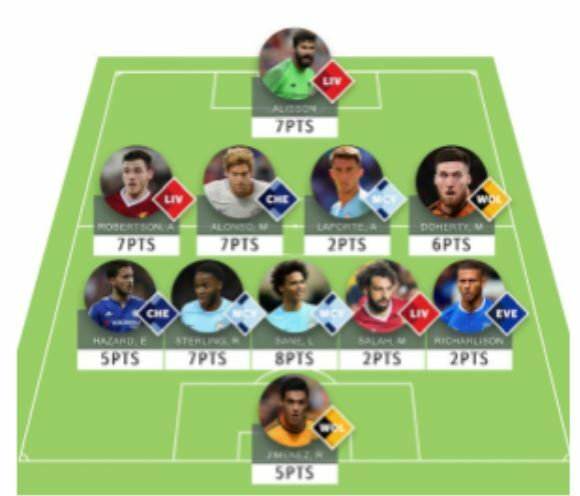 Good luck everyone for GW15! Really appreciate your work mate, look forward to your article each week. What deadline is the 7th of December? Could you have actually waited until this date to make your Aguero to Sane transfer? I thought that November transfer deadline was November 30th. Still thinking of Kane this Friday? 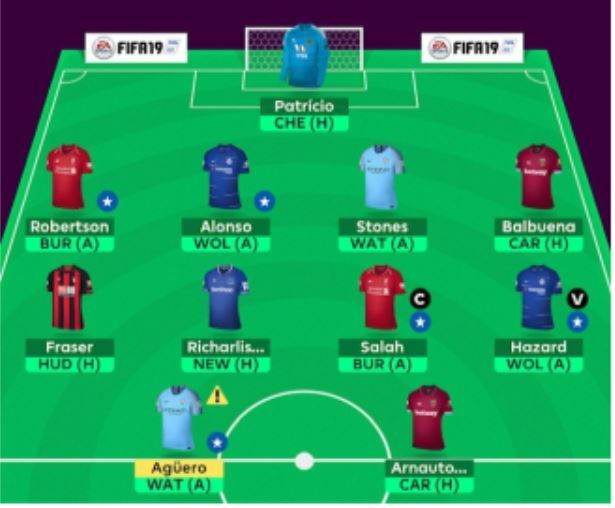 Salah to Kane with the difference between your transfer from Aguero for Sane?